Every year, our amazing supporters donate millions of pounds to appeals that enhance the work we all do to care for our patients and their loved ones. 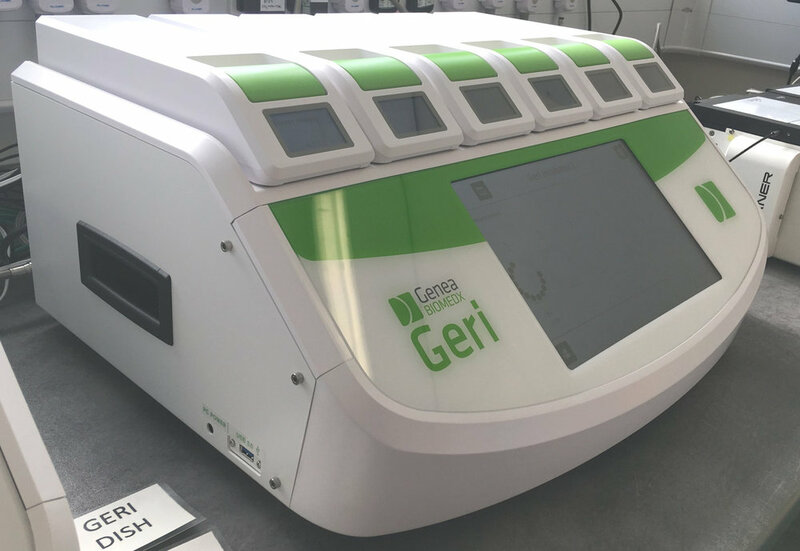 Our latest success story is this terrific bit of tech named ‘Geri’ – a brand new embryo monitoring system that is already helping patients at the Leicester Fertility Centre! We proudly launched our A.C.O.R.N. Appeal to benefit our Leicester Fertility Centre patients in 2017. Two years and £48,000 later, we’ve been able to purchase this brand-new system for the team – and they’re already using it to help increase pregnancy rates among their patients. It’s all thanks to a number of fantastic fundraisers for the A.C.O.R.N. Appeal. Not only has the appeal had the support of our patients and those close to them, it’s even received a major boost from hospital staff too. While we’re so grateful to everyone who has contributed to this empowering appeal, special recognition goes to Donata Marshall, General Manager in Gynaecology, who ran last year’s London Marathon for the A.C.O.R.N. Appeal, managing to raise an astounding £13,689! At the Fertility Centre, Embryologist Charlene Freeman says the staff are thrilled to welcome Geri to their team. “We are now much better placed to be able to offer the best opportunities to all those we see and help them to fulfil their dreams of having a family,” says Charlene. Thank you to everyone who’s contributed to the A.C.O.R.N. Appeal so far. We’re continuing to raise money for this valuable campaign to help support our Fertility Centre colleagues into the future! To find out more about the appeal – or to donate to support our fertility patients – click here to visit our A.C.O.R.N. Appeal page or call our Charity Office on 0116 258 8709.